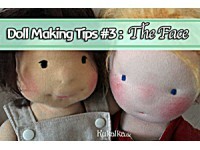 As I mentioned recently, I sew a lot of larger dolls lately. And I love it. 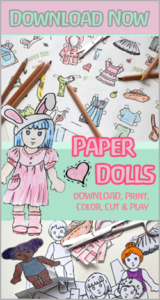 But I also love the possibilities and variety that makes doll making. 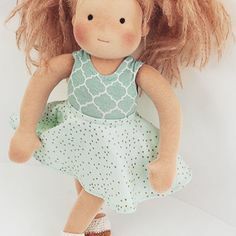 And a special doll got stuck in my head for a while now and I’ve been itching to finally having the time to sew a smaller, simpler doll again. 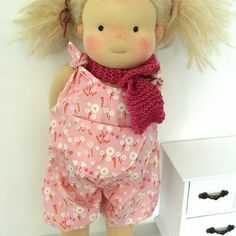 Maluschka is about 6 inch small and has tan skin made of Swiss cottontricot. She also has a wonderfully cuddly, soft body made of yellow nicky fabric with orange dots. 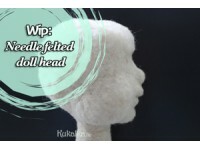 The doll is filled with fluffy soft sheeps wool. 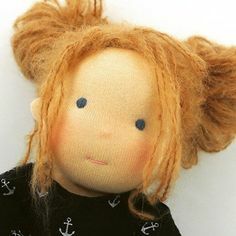 She has very soft redish-brown hair made from mohair wool. 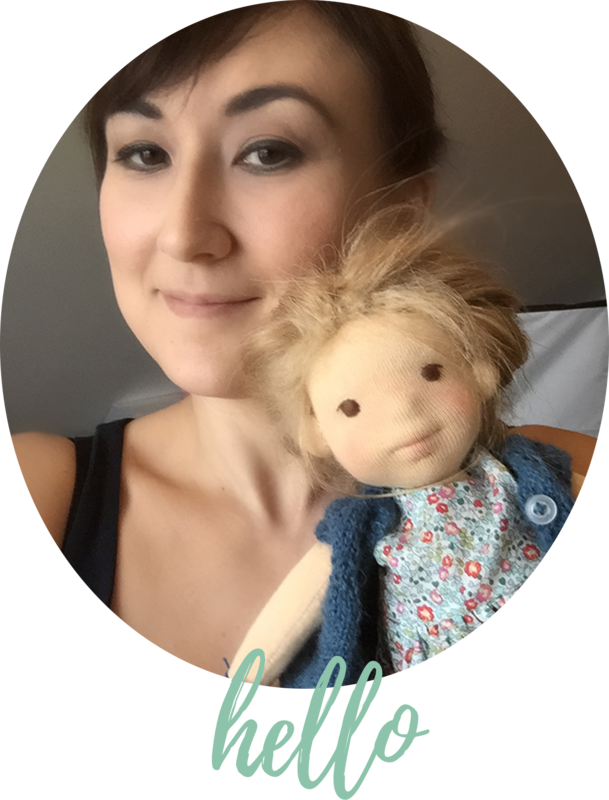 Her the face is embroidered in the classic style of Waldorf; She has pastel green eyes and only a little smile. But she also has a small nose. The Cheeks and nose are lightly colored with red bees wax chalk. And even though Maluschka does not need clothes, she still insisted on even more cuddlyness. 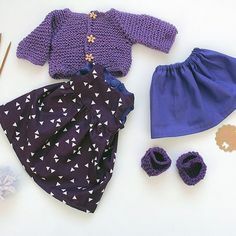 So I had to knit her a little woolen scarf with a wooden flower as a button. Maluschka loves kids and wants to tag along everywhere they fo. Her curved legs are perfect for small children’s hands to grab on. She also fits well into small pockets, from where she then likes to gimpse out curiously. But she also is a very good listener … and likes to offer comfort (because she is so cuddly). Maluschka can not stand to be alone for too long, so she is waiting for someone to take her on adventures now and would love to become a childs little friend, soon.